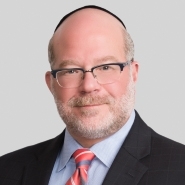 Porter Wright partner Jay Levine commented in an article in PaRR about the Federal Trade Commission’s (FTC) appellate victory against St Luke’s Health Systems, which shows the difficulties healthcare providers face in using certain efficiencies arguments to justify a merger. Levine said that when consolidation between providers proposes to give the merging parties increased bargaining leverage against managed care, “it’s very difficult to tip that balance” and convince a judge the deal will be procompetitive. PaRR is a subscriber-only online service that offers information, analysis and proprietary data on competition law, IP and trade law and regulatory changes.